January Market Update: Wall Street Rounds Out Best Month Since 2016; TSX Lags Amid Loonie Strength - Inukshuk Capital Management Inc.
February 6, 2018 /in Market Update /by Inukshuk Capital Management Inc. 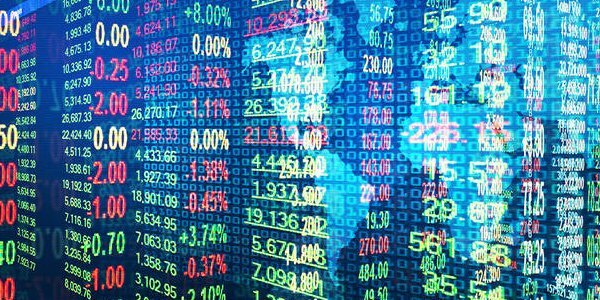 The sharp divergence between Canadian and U.S. equity markets intensified in January, as Wall Street scored its best month in nearly two years while the TSX ended lower. The currency markets were also highly volatile after a NAFTA spat prolonged the U.S. dollar’s woes. Despite a rough finish, U.S. stocks capped off their best month since March 2016, with the major indexes surging between 5.5% and 7.4%. The gains were largely driven by pro-growth optimism and robust earnings from Wall Street firms. According to financial research firm FactSet, more than two-thirds of S&P 500 companies have reported better than expected fourth-quarter earnings. With roughly 75% of companies left to report, this picture may change in the coming weeks. Canadian stocks fell in January, with the benchmark TSX index ending the month at eight-week lows. The TSX ended January at 13,367.96 for a decline of 1.6%. Prevailing weakness in Canadian equities has defied a broad pickup in the domestic economy as well as an improved outlook for energy stocks following crude oil’s brief return to $70 a barrel. Given the energy sector’s overweight representation in the TSX, oil prices are considered an important proxy for the overall health of the index. The Bank of Canada (BOC) pressed forward with another rate hike in January, as strong economic data outweighed growing concerns over the future of NAFTA. With the hike, the trend-setting interest rate now sits at 1.25%. While the BOC signaled that gradual rate increases are likely over time, it also urged caution in the face of ongoing trade negotiations with the United States and Mexico. The U.S. dollar started 2018 on the backfoot, eventually falling to its lowest level in more than three years. Declines were largely driven by competitor currencies like the euro, pound and loonie gaining ground on expectations for gradual policy tightening. In the process, the Canadian dollar rose to fresh four-month highs. Cryptocurrencies suffered multiple selloffs in January after South Korean officials said they were considering tighter regulations on the digital currency market. Lawmakers eventually decided to ban anonymous trading accounts in an effort to curb speculation. These measures were much lighter than some proposals calling for a comprehensive ban on cryptocurrency exchanges. Bitcoin, the world’s largest crypto asset by market cap, lost nearly 30% of its value in January to round out its worst month since 2015. Sue Chang and Mark DeCambre (January 31, 2018). “Stocks end higher, closing out best month since March 2016.” MarketWatch. FactSet (January 25, 2018). Earnings Insight: Key Metrics. Sam Bourgi (February 1,2 018). “Bitcoin Caps Off Worst Month in Three Years as Losses Mount.” Hacked.com.